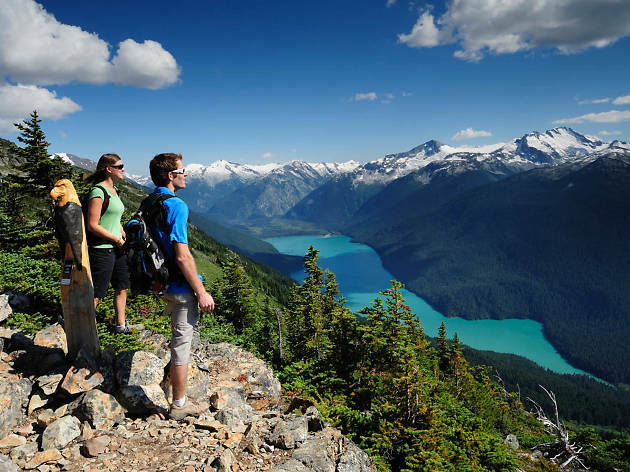 Just getting to Whistler is a picturesque ordeal: on the two-hour drive from Vancouver along the obscenely scenic Sea-to-Sky Highway, visitors get a teaser of the vast mountain range surrounding the town. 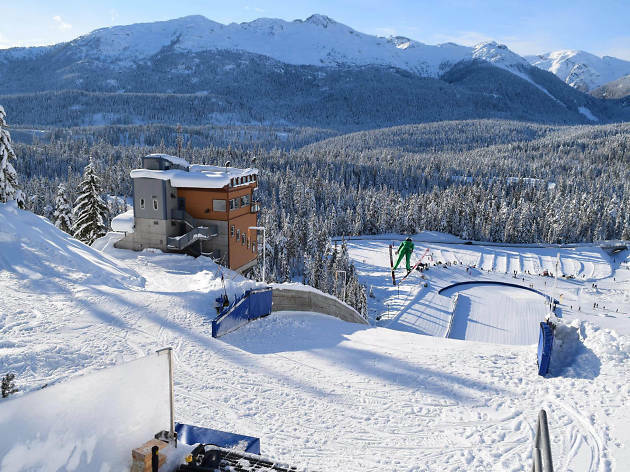 Rightly famous for its winter sports, Whistler was a key venue for the 2010 Winter Olympic and Paralympic Games. 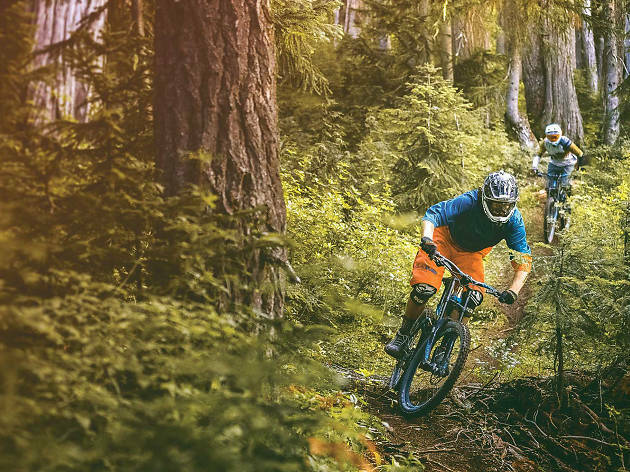 You’ll still find the Olympic rings dotted around the village but, these days, Whistler has turned into a just-as-beloved summer destination as well, drawing mountain bikers, hikers and adventure-sports enthusiasts to the Whistler and Blackcomb Mountains. 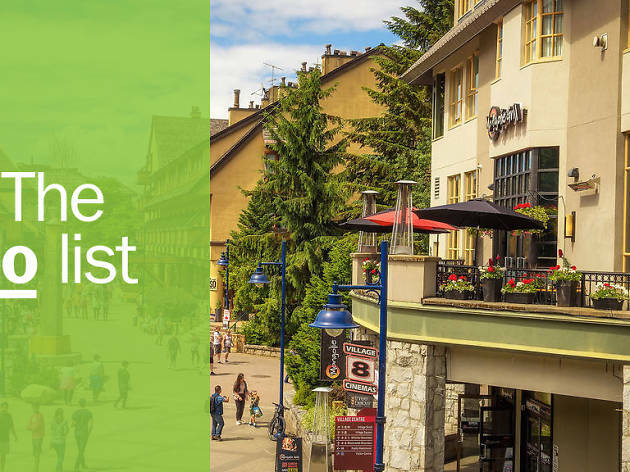 Although the town is cute and compact, it’s easy to get lost in the central neighborhood of Whistler Village—a warren of near-identical pedestrianised streets and resort accommodation. Really though, it’s all about the great outdoors that surrounds it. 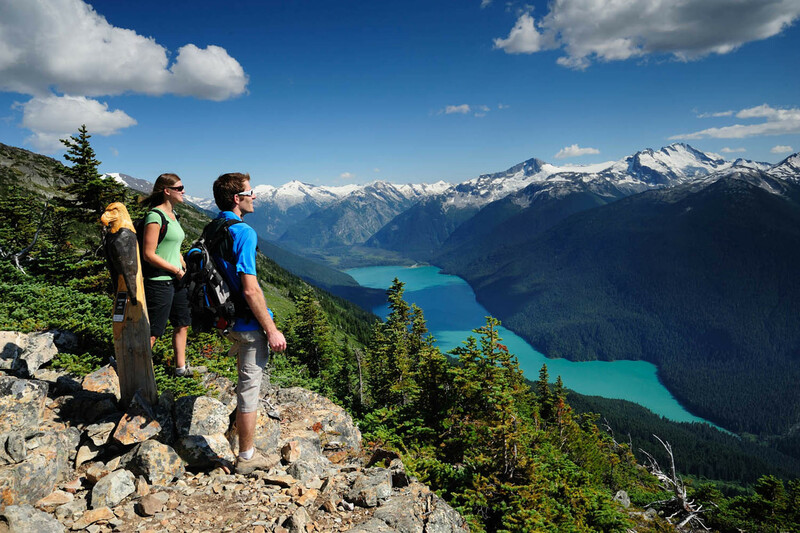 Here are the very best things to do in Whistler. 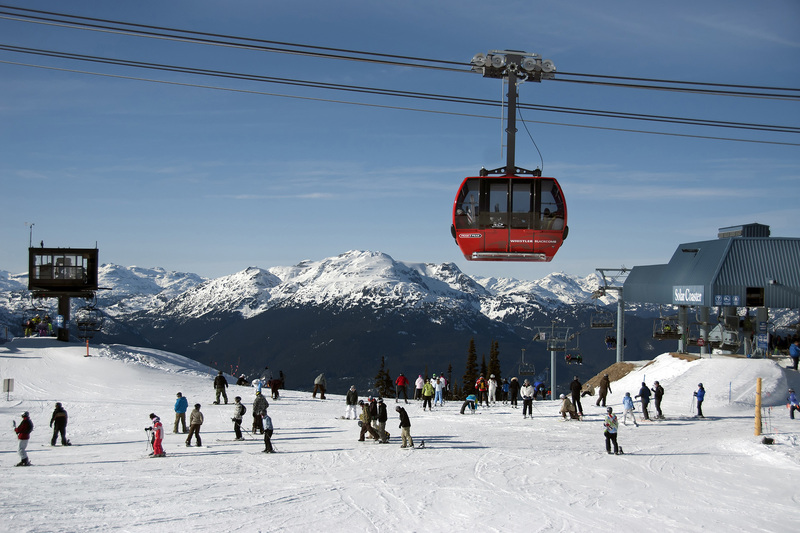 What is it: The Peak 2 Peak Gondola links the Blackcomb and Whistler Mountains and holds Guinness World Records for longest unsupported span (3.024km) and highest cable car in the world, at 436 meters height. Why go: In the winter, this is a great way to access the slopes; in the summer, it’s a passport to more than 50 kilometres of hiking, running and walking trails. Or, with five restaurants open atop the mountain, it’s also a great way to get to brunch. 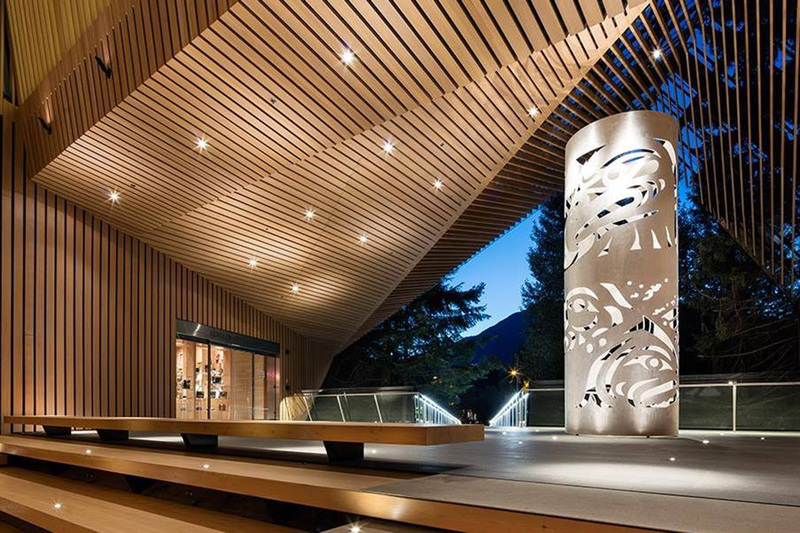 What is it: Whistler is, quite rightly, proud of its Olympic past. And there are few winter sports as fun to watch—or take part in—as bobsleighing. Don’t let the fact that the aptly named Sliding Centre boasts the fastest ice track in the world freak you out too much. Why go? A pilot will guide you and your fellow passengers down the track’s ten turns, with the sleigh reaching speeds of 125km/h at the track’s final corner. Winter opening is from December to March, but summer visitors can take part too, with a wheeled sleigh reaching up to 90km/h from June to September. The bobsleigh runs whatever the weather, making it an ideal rainy-day activity. What is it: Take a peaceful forest, add a series of hot and cold pools, insist upon a rule of silence and what have you got? 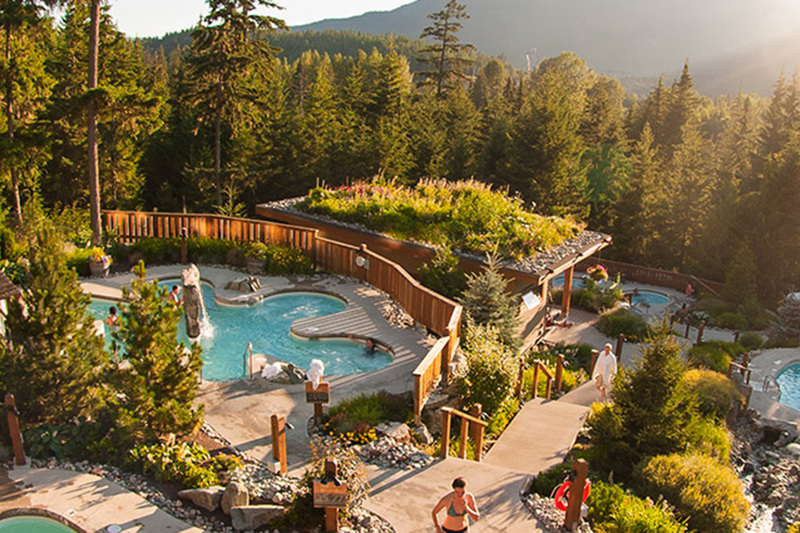 A spa that can rightfully claim to be one of the most tranquil spots in Whistler. 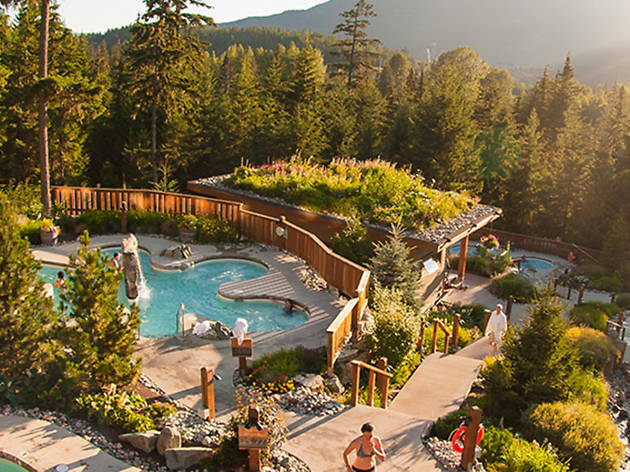 Why go: The idea at Scandinave Spa is for visitors to feel as immersed into nature as possible, which is easy when surrounded by the scents and sounds of the spruce and cedar forest. First soak yourself in the hot pools and eucalyptus steam baths then close (and shock) the pores in the Nordic waterfall and cold plunge baths. Finish up relaxing in hammocks during the summer or by the outdoor fires in winter. Spa treatments are available, if you can bring yourself to leave the pools. Reservations are not required if visiting the pools only. 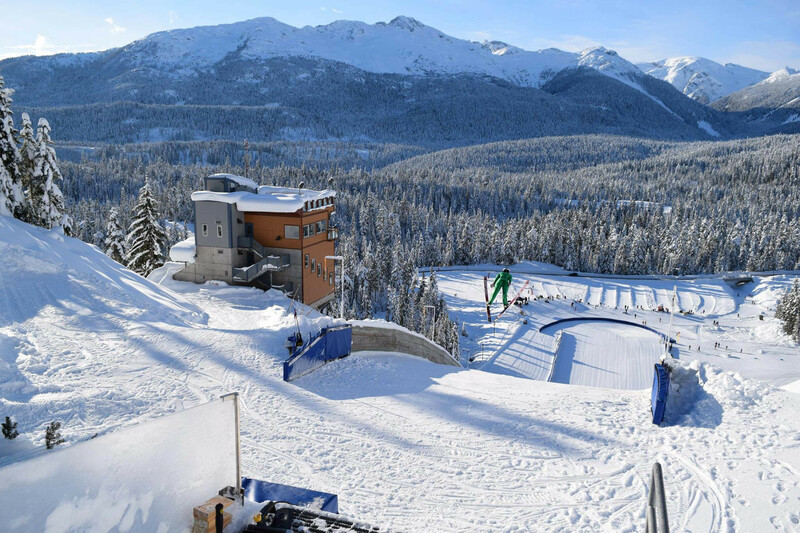 What is it: The twin peaks of Whistler and Blackcomb make up the largest ski area in North America. Why go: There are more than 200 marked ski runs, 8,171 acres of terrain, 16 alpine bowls and three glaciers to explore. Come summer, the skiing fun doesn’t have to stop. From mid-June to mid-July, the Horstman Glacier on Blackcomb Mountain is open and boasting soft snow, for bluebird days galore. Bring your sunscreen. 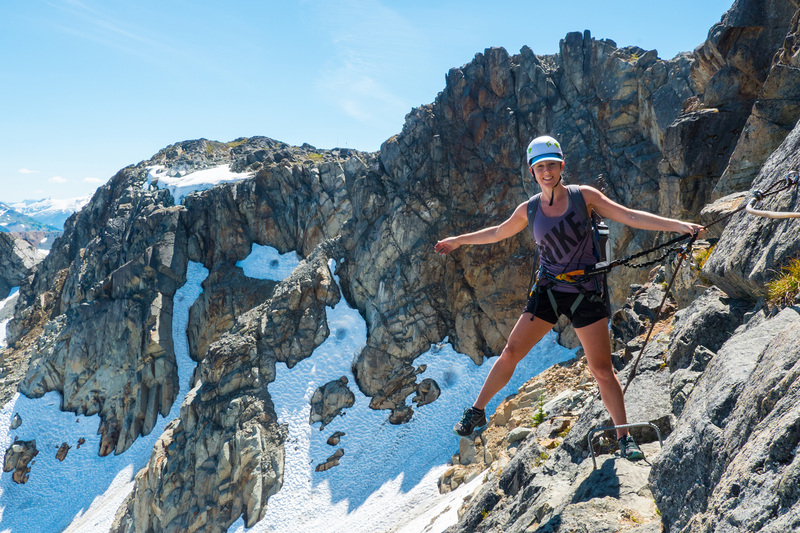 What is it: An assisted climbing route high atop Whistler Mountain. No climbing experience is necessary for this, but a good level of fitness is no bad thing. Why go: Climbers are harnessed into the route cables spanning the rock face, with metal steps on steep passes. The half-day experience is suitable for those 12 and up. 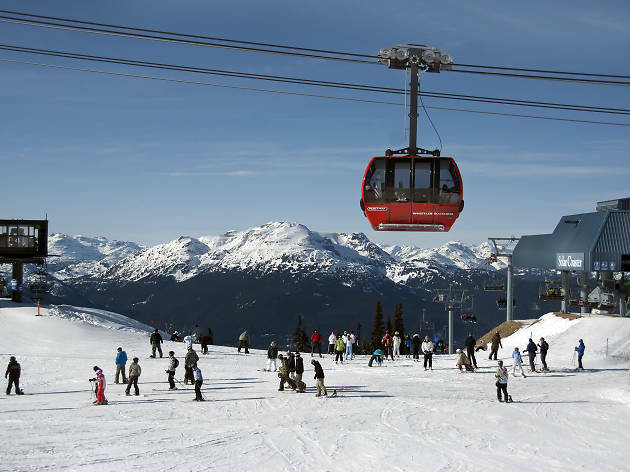 It’s worth noting that you’re going to need a Peak 2 Peak 360 or summer sightseeing ticket for Whistler Blackcomb in addition to the tour price. But the view from the top is priceless. 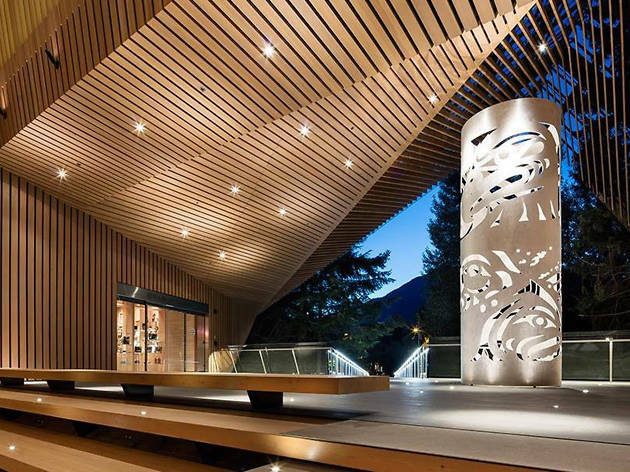 What is it: Opened in 2016, this striking building houses an extensive permanent collection of artworks from British Columbia, including a significant number of First Nations pieces. Why go: There’s plenty of unique art to see here, including a collection of nineteenth-century Northwest Coast masks, a gallery devoted to West Coast landscape artist EJ Hughes and a collection of works by Emily Carr, who was inspired by Canada’s indigenous people. Take an hour-long tour to learn the stories behind the works. But also make time to sit and take in the soaring architecture or the quiet of the surrounding forest. 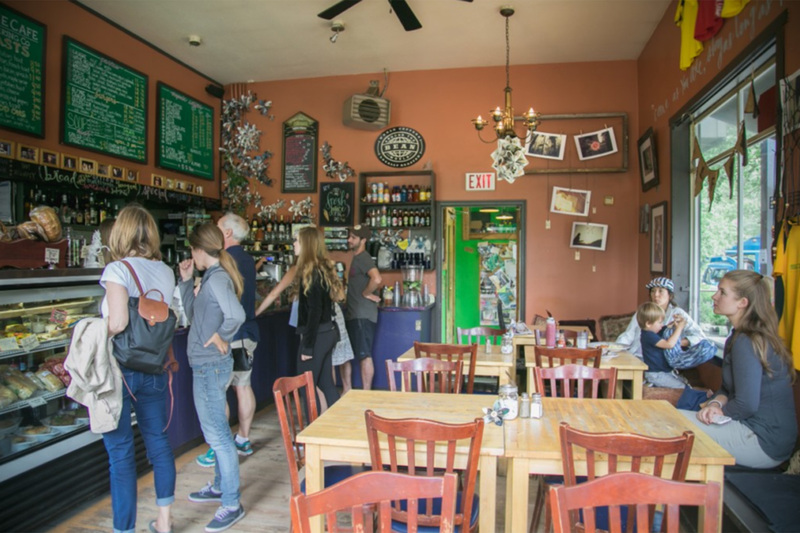 What is it: Located 6km north, the Alpine Café feels like the perfect antidote to pedestrianised Whistler Village, with its at-times university campus feel. The best part? It serves homemade food all day. 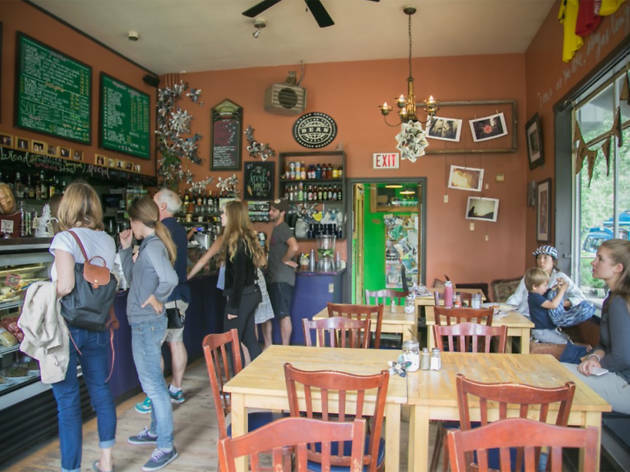 Why go: The relaxed atmosphere and reasonably priced, unfussy but droolworthy food, will keep you coming back. The breads and soups are great, but it’s all about breakfast with burritos and eggs benny galore. The spot is open until 9pm, so stay around for live music and a cool pub vibe. 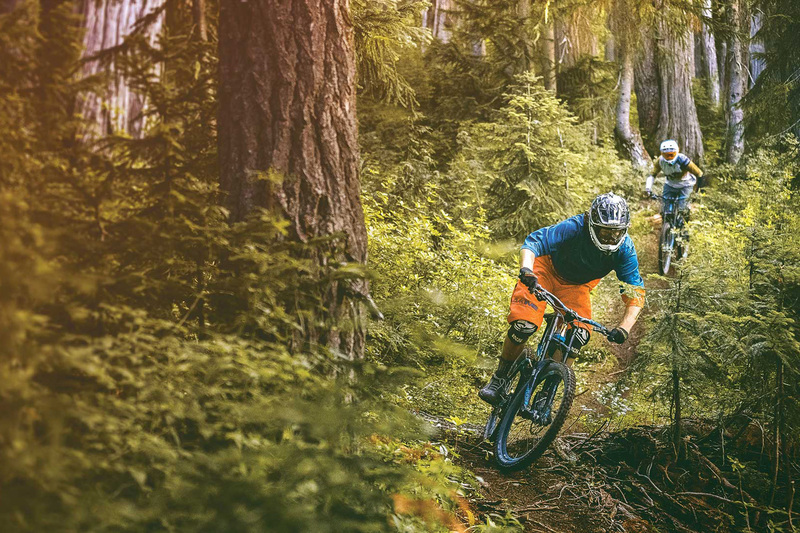 What is it: During the summer, the Village fills up with a tribe of avid mountain bikers, drawn here from all over the world by the first lift-accessed Alpine mountain bike trail in North America. 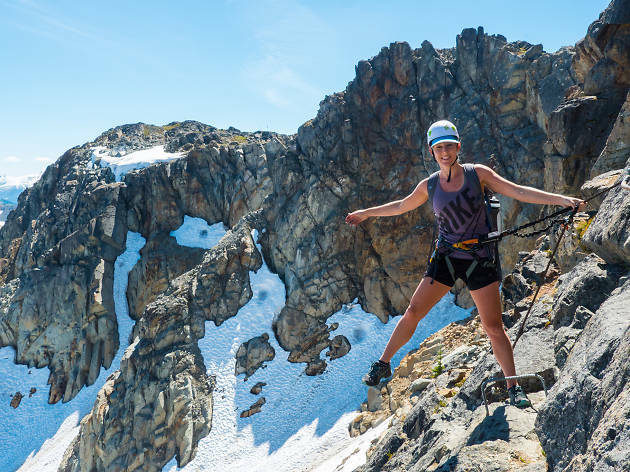 Why go: There are numerous routes back down Whistler Mountain, including beginner-friendly green trails, four mountain zones, green, technical double blacks and jump trails, with five new routes recently added. But the one that draws devotees is the Top of the World alpine trail, which starts at the very top of the mountain. Head to the bike school to brush-up your skills or learn the trails. 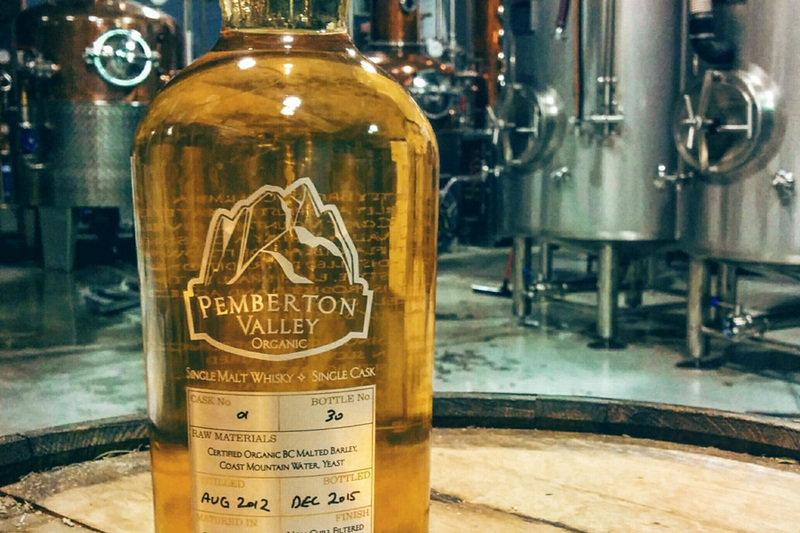 What is it: Located an hour north, in an area nicknamed Spud Valley, Pemberton Distillery has put the local potatoes to excellent use as a base for what it claims are the world's only organic potato vodkas, gins, absinthe and liqueurs. 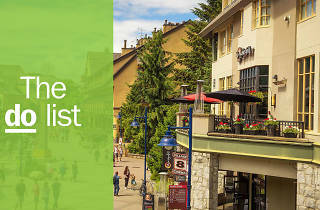 Why go: Whistler is home to a well-known beer trail, with a number of breweries and brewpubs calling the town home. But sometimes it’s nice to sip the spirits instead. 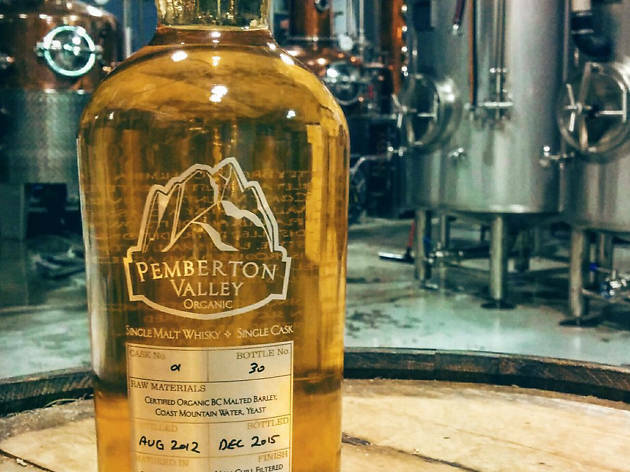 Find out about Pemberton Distillery’s farm-to-bottle approach on a tour or pick up supplies at the store, including the Organic Hemp Vodka infused with toasted organic hemp seeds grown locally on Vancouver Island. The scenic drive alone is worth venturing out of town for. 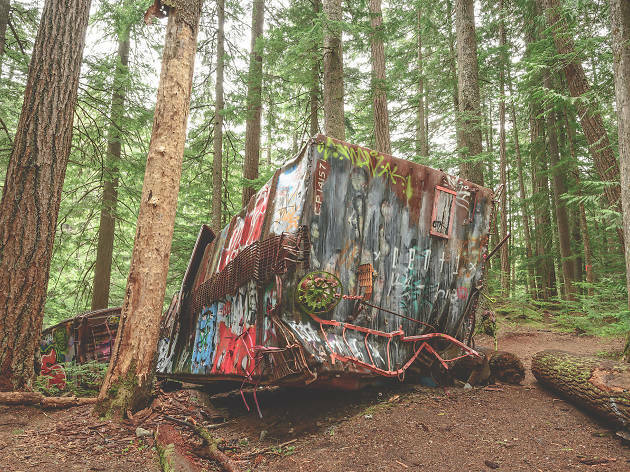 What is it: A mangled collection of railway boxcars located deep in the forest, doused in graffiti and silently rusting away. 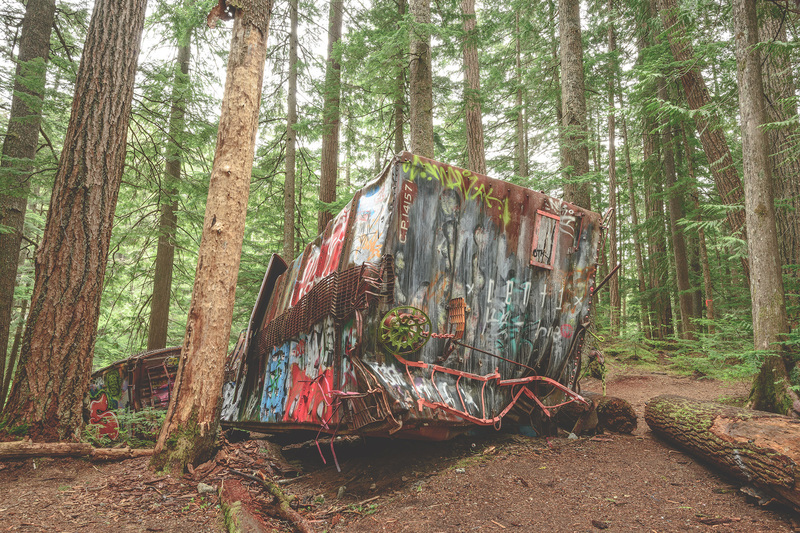 Why go: A long-time favourite of hikers, artists and photographers, and the result of a 1956 freight train derailment, the site was largely inaccessible until recently. At least legally, that is. Venturing there used to require a hike along the railway tracks. However, a hiking trail and bridge across the Cheakamus River was officially opened in 2016, providing safe access to the site. The bridge is an untaxing 1km from the trailhead but be sure to pack bear spray in summer. 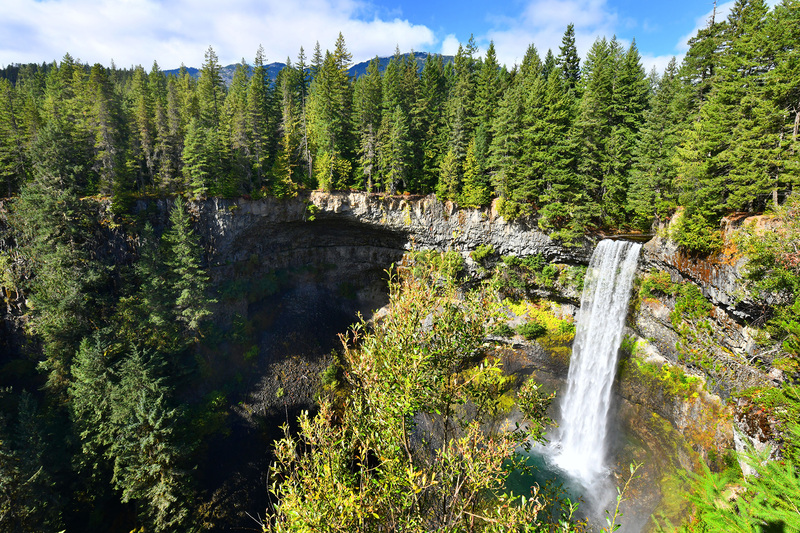 What is it: A park area with stunning falls, which cascade dramatically down to a rocky valley. At the waterfall, a short hike from the car park, you’ll find views of Daisy Lake and the surrounding mountains. 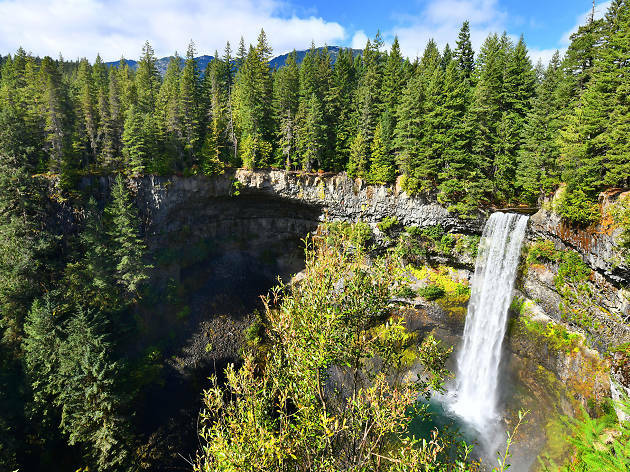 Why go: Whether you’re after a long, demanding hike or prefer a lighter stomp about, Brandywine Falls Provincial Park offers both. More difficult trails afford mountain biking opportunities through the surrounding forest. 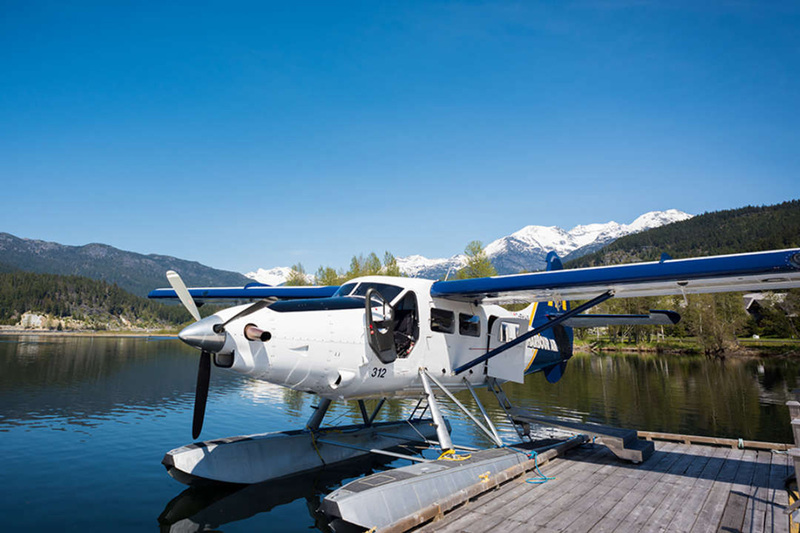 What is it: Seaplanes are kind of a thing around these parts, providing a unique aerial view of the mountain scenery and incredible water-based landings and takeoffs. Why go: A 30-minute flight over the spectacular Coast Mountain range gives you a bird’s-eye view of the glaciers, alpine meadows and turquoise lakes, including Garibaldi Lake from May to September. Tours take off and depart from Green Lake.